GST stands for Good and Services Tax which is a broad term used to describe consumption tax which is levied on imported goods. Singapore Customs is responsible for collecting GST from various businesses. All goods and services sold in Singapore have GST. Its counterpart in the United States is Value Added Tax more popularly known as VAT. There are certain people, institutions and establishments which are exempted from getting charged with GST. It is mostly applicable to financial services, local and imported supply of precious metals which are invested, as well as the lease and sale of residential properties. Goods and services which are exported for international sale and purposes are zero rated or are not charged. The Standard Rated Supplies which are charged with 7% GST include all local sales in Singapore. Anything that is sold in malls, supermarkets, stalls, retail shops, department stores, novelty stores, antique shops, toy shops, sports shops and others are included. Zero Rated supplies are charged with 0% or no charged at all. This includes all exported goods which come from Singapore and are distributed to other countries. For example, a sale of a camera to a customer based from the United States and shipped to a US address will not be taxed. Services which fall under the Standard GST rate of 7% include all local services based in Singapore. Examples of this are beauty salons, spas, restaurants, tailor shops, amusement parks, bars, karaoke establishments, car wash and similar businesses. As long as the service is located in Singapore, it will be charged with 7% GST. Zero Rated supplies are types of services which have been classified as an international service. An example of this is purchasing plane tickets originating from Singapore to visit France or any other foreign country. In terms of Goods, all unfurnished residential properties which are either for sale or for rent are exempted from GST. The local supply and importation of precious metals which are to be invested are also exempted. For Services, only financial based services will not be charged with the GST. Out of Scope Supplies means that these goods and services are not charged with GST. It is only applicable for goods which have been sold and delivered from a different country and will be delivered to another destination. All private transactions are also exempted from being charged. If you have earned more than $1 million over the past year or the past twelve months, you should file for a GST. You have to be aware of your exact taxable turnover at the end of the month of March, June, September or December which are also known as the past four quarters. 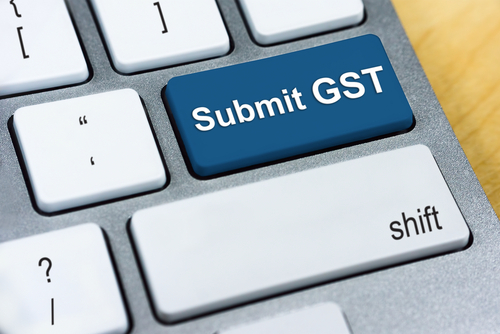 Once you have reached more than $1 million, you have to register for GST. If you have the intention of creating, selling or making any taxable goods, supplies and merchandise, you will need to register for GST. This should be done because you will be expecting a taxable turnover of more than $1 million for your business. This is also taking into consideration the exact amount of your taxable turnover in the past year or past twelve months. You can reasonably assume that it will be more that $1 million because of business agreements and signing various sales contracts. Although these are the main requirements in registering for GST, some businesses choose to voluntarily register for one. Even if your taxable turnover does not exceed the cap of $1 million, you can try registering. However, it will be put under careful consideration so you will not be guaranteed a successful registration. It is important to keep in mind that even if your financial year does not end in the past four quarters which includes March, June, September or December, GST will still be applicable. 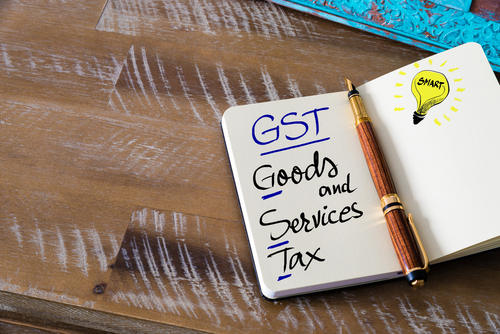 You should begin charging GST for your goods and services beginning from the day of your registration. The GST you've accumulated from business imports and business purchases can be claimed and used as credits. It will begin immediately on the day you've registered. A person who is registered for GST can claim the total amount of GST accumulated from his goods. The only thing to consider is if the purchases were made by his business in order to make taxable supplies. 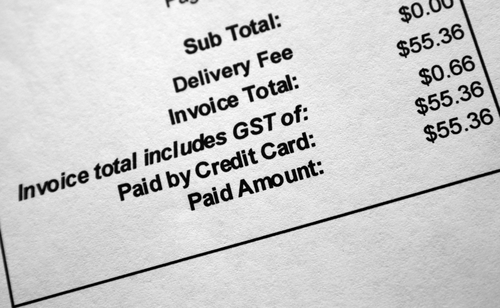 These expenses or purchases should be supported with a proper and legitimate tax invoice. It should not fall under any restrictions or specifically disallowed claims written under the GST Act. The main responsibilities of a GST registered person includes the accurate accounting of all GST taxable supplies. It also includes the proper use of GST inclusive prices which have been provided for goods and services. The price tags, advertisements, brochures, price lists and websites should always coincide with one another. It is important to be compliant with all the regulations. A GST registered person also has the responsibility to maintain all business records and accounts for at least the past 5 years. It's essential to exclude GST claims on any items which are exempt from the mandated list to avoid any problems.